Liquid cooling is nice, but wheels are something you can really show off. Acer's Predator Orion 9000 shows you what a well-designed gaming rig can offer: Dual GTX 1080 Ti's in SLI. Liquid cooling. Five fans. Handles for hauling, and even wheels! Check it all out here. Acer’s Predator Orion 9000 gaming desktop blazed a bit of a trail at IFA 2017 with its high-end hardware and clever integrated wheels. At CES, it’s back again with a more solid release date. The Predator Orion 9000 will ship in February for a starting price of $1,999. But as you read through the kinds of features and specs to expect, don’t kid yourself: Acer already told us at IFA that the topmost configuration (with four Radeon Vega cards and other luxuries) will set you back a cool $9,000. External details on the Predator Orion 9000 include two top handles and a clear side panel. 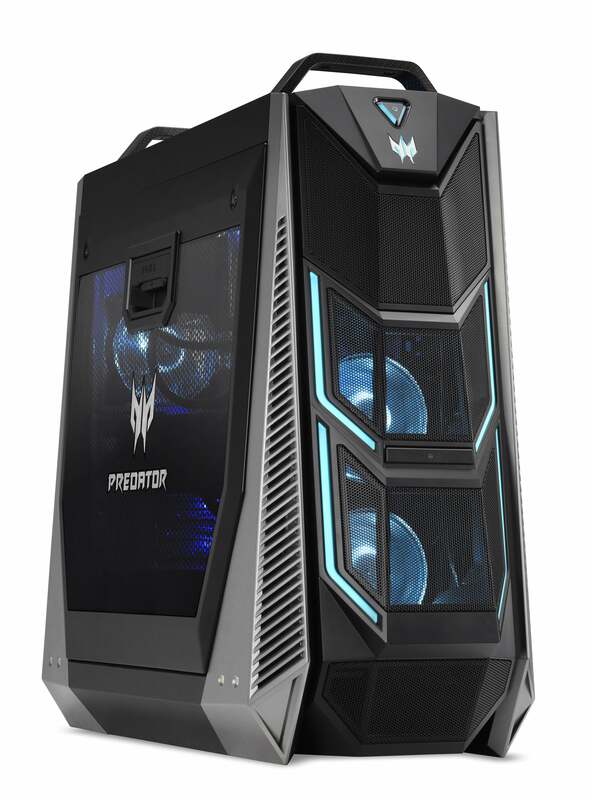 The Predator Orion 9000 manages its thermals with liquid cooling and IceTunnel 2.0, a system of chambers with their own management system. There are up to five fans, and plenty of ventilation through mesh panels on the front and top. The case features a clear window panel (see above), the better to see the internal lighting. The side panels are tool-less, and the top pushes open, to make it easier for builders to work inside the chassis. 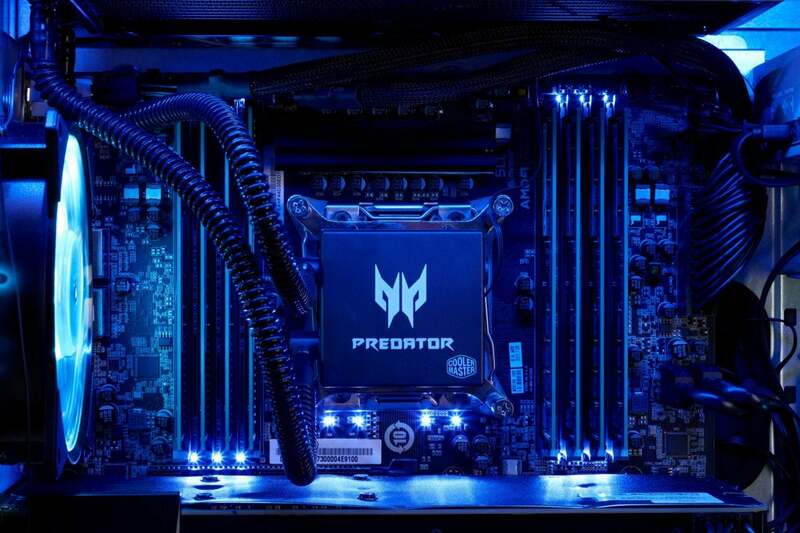 Wheels seem like such a little thing, but when gaming rigs abound, this sort of convenience could tip a buying decision in favor of the Predator Orion 9000. They nestle discreetly in the lower rear corner, so your rig won’t look like a kiddie wagon. Dual handles on top of the case add to the portability. The Predator Orion 9000 can stand tall among the competition with all the right parts, and some nice details. Acer may not be the edgiest gaming PC brand, but it knows how to get some attention. If the buyer gets some bragging rights as a result, that sounds like a win-win.